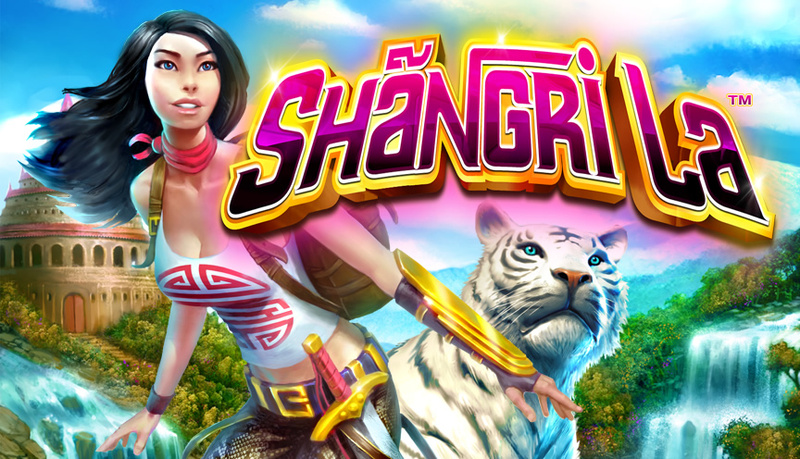 Well known as a place of magic and mystery, Shangri-La has long been sought after by adventurers over the years. Well, Boku Slots has found it and we’re inviting you to come along and see for yourself what treasures await. NextGen Gaming are the developers of this bright and inviting game that gives players a taste of the orient. 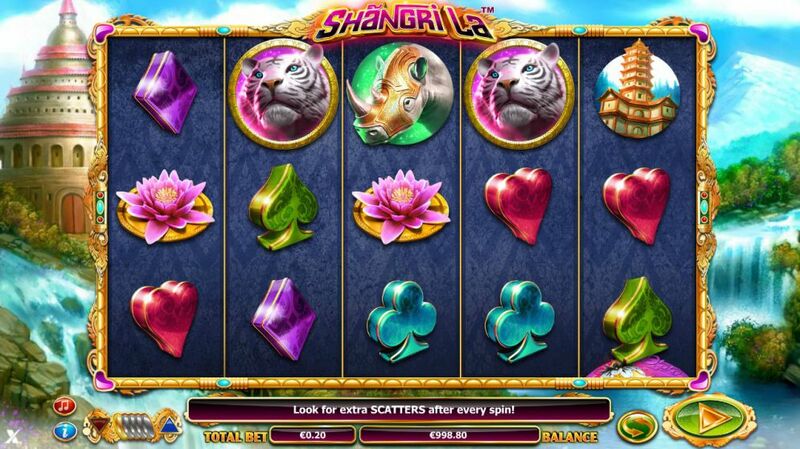 Shangri-La is a 5-reel, 15 fixed pay line slot that offers players an exciting 96.63% RTP. Set against a stunning mountain and waterfall back drop the reels look elegant and luxurious, just how you would imagine Shangri-La to be. Lots of lush images make up your symbols, including 3d card suits such as the heart and spade, animals, a lotus flower and of course the explorer too. Bet Amounts – Betting begins at just 20p per spin and can be increased to the maximum of £50 per spin. To adjust your bet just hit the coin icon to the left of the spin button and move the slider up or down to suit your needs. Wild Symbol – The plucky explorer is your wild symbol and she will substitute all other symbols except for the scatter. If she forms part of a win she will double the prize won for that line, but she will only appear on reels 2, 3 or 4. Scatter Symbol – A golden urn is your scatter symbol and landing three or more of these anywhere on the reels will trigger the bonus game. Scatter wins are also applied for landing 3, 4 or 5 symbols on the reels and these will pay on top of any line wins. Extra wilds – additional wilds will be added to the reels. Trail Bonus – spin the wheel to move across the map revealing prizes as you land on each step. The bonus ends when you spin an ‘x’ on the wheel. Shangri-La is a stunning game of great design, with the imagery and music playing in the background all adding to a serene feeling when in play. There is a gamble feature included but beware, because if you choose incorrectly you will lose everything you have just won. Wins happen quite a lot in the main game thanks to those random features. Unfortunately, the bonus took a little longer to trigger, but once it did we enjoyed the fun of the wheel.